On Tuesday, 17 November, the Dechen sangha in Yorkshire hosted a public talk by Lama Jampa Thaye at the Quaker Meeting House in Leeds. The event commenced with presentations to the Lord Mayor of Leeds and Viscount David Lascelles. 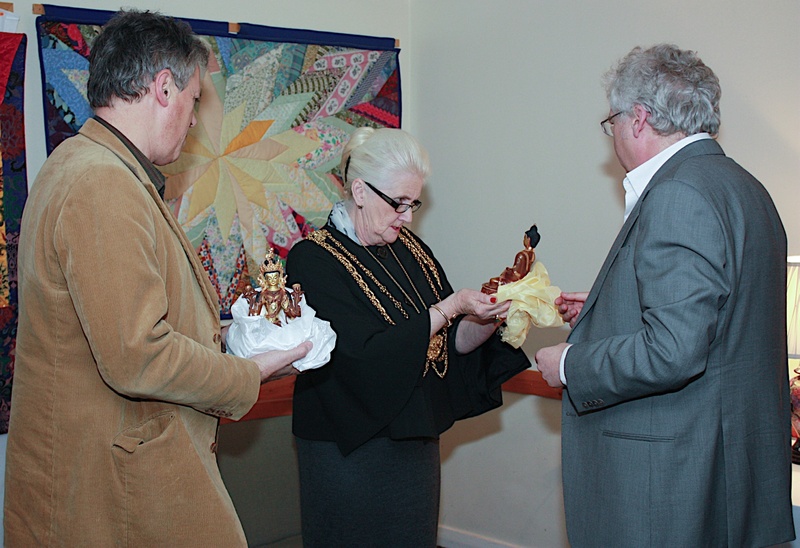 Lama Jampa gave these special guests a Shakyamuni Buddha statue and White Tara statue respectively. Lama Jampa subsequently spoke for an hour, emphasising non-sectarianism and outlining 'the basis, path and fruit' for a mixed audience of Buddhists and non-Buddhists, before closing his talk with a short meditation. The evening ended with a catered reception, which gave all present the opportunity to enjoy the company of Lama Jampa and Dechen Dolma. Sangha from all over England travelled in force to support this event and it was a pleasure to see a full house in the attractive venue. 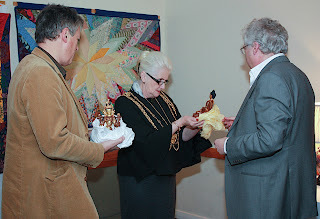 The event was particularly notable as it marked the first time Lama Jampa had given a public talk in Leeds for a number of years.